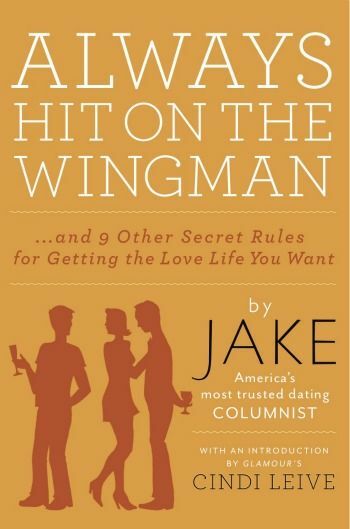 Seeking a Valentine’s Day gift that will satisfy your wallet and your BFF? Look no further than these perfect presents - all priced at $75 or less! Pajamas are a huge part of celebrations around my house. Each year on Christmas Eve, everyone unwraps a new pair of pajamas that they will then proceed to wake up in on Christmas morning, and wear all day long as we tear open gifts, drink hot chocolate, and watch A Christmas Story on loop. It’s a family tradition that has crept its way over to my circle of friends for what we like to refer to as our Annual Valentine’s Day Slumber Party (très Baby-Sitters Club, I know – but we ♥ it); wherein any of us who happen to be single for the holiday will gather together to do all things super girly. This means pink and red manis and pedis; gorging on vanilla cupcakes topped with pink frosting and Red Hot Hearts; facials; back-to-back viewings of romantic comedies (though we tend to watch Serendipity multiple times); and…a pajama exchange that starts the moment everyone is in the door. 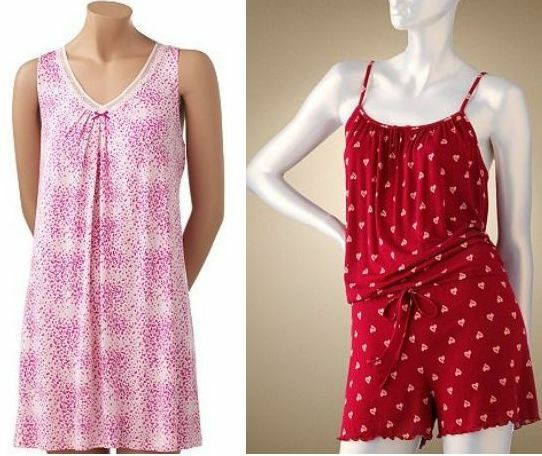 Thus, I was super excited when Kohl’s sent me a collection of adorable pajamas that are ultra-cute for Valentine’s Day (red, pink, covered in tiny hearts…), or year-round – and ideal for this year’s Annual Valentine’s Day Slumber Party! – that included the Apt. 9 Pleated Chemise in Pink Dot; Jennifer Lopez Ravishing Rouge Heart Romper; and the Apt. 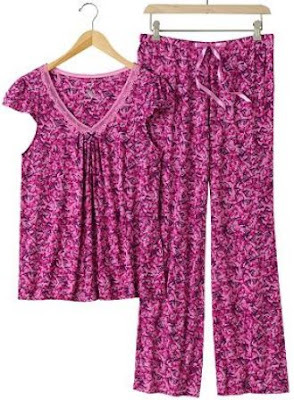 9 Forever Yours Heart Pajama Set. This was my first encounter with a Chemise. I have seen them in stores in the past, but have never invested in one…oddly enough, this is my favorite piece out of the trio that Kohl’s sent me. The print is very flirty; and with the mix of morning bedhead you literally wake-up looking ultra-glamorous. I have an obsession with rompers / playsuits, so this, to me, was one of the most perfect pieces imaginable. The heart print is a playful touch that is festive for Valentine’s Day, yet still wearable year-round. I love this Romper too much to part with it; so I’m buying an extra for our Annual Valentine’s Day Slumber Party Pajama Exchange. 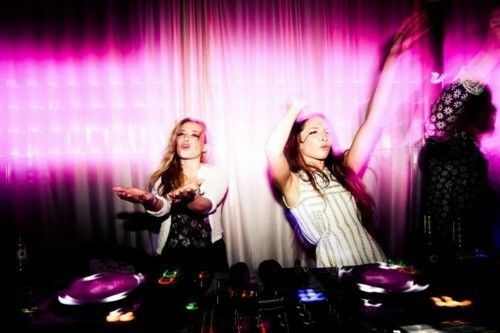 I already know that it’s going to be massively successful with my BFF’s! This particular set has Sleepy Sunday Morning written all over it – which I love. It is perfect for those days when you wake up and want to do nothing but curl up with coffee, and a good book, and laze the day away…precisely how I used it just yesterday! What Valentine’s Day traditions do you have? Better yet, do they involve cute et cozy pajamas? Thanks to Kohl’s for the pictures. You’ve found the perfect sheath to don on Valentine’s Day, but now you’re seeking a charming topper that is equal parts cozy et chic? No worries, darlings! Take a peek at these toasty offerings that are bound to keep you warm without forsaking style! Don’t have a significant other to shop for this Valentine’s Day? That’s no reason to kiss off the holiday of love! Simply turn your shopping attention to your BFF’s by picking up a present or two from this stellar selection - all priced at $50 or less! If there is one thing most of you have probably learned about me via Café Fashionista over the years (aside from the fact that I am a shoe addict), is that I am a complete bookworm. Reviewing, recommending, reading…all can be found on my list of hobbies. In fact, my handbag, in my estimation, is barren if there is not a book taking up residence within its folds. And I think, based upon much of the feedback I have received from all of you when I mention books, that many share my adoration of the written word; therefore, I thought that it was high time to add a new feature to Café Fashionista…a monthly Book Club! 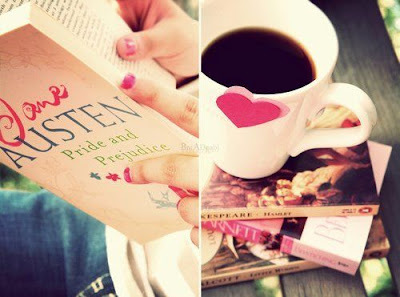 That’s right; today I am introducing you to the Café Fashionista Book Club! Each month, I will announce a new book that I would love to read with all of you, and you can either choose to read it along with me, or not (like I said, the choice is yours). Throughout the month, you can come back to this original posting, and Discuss the current book club selection in the Comments section, sharing your thoughts on a character you love (or love to hate), memorable quotes or scenes in the book, and the like. Everything is very informal; but I think that it will be a blast, and I hope that you will all join in! Now for the fun part. 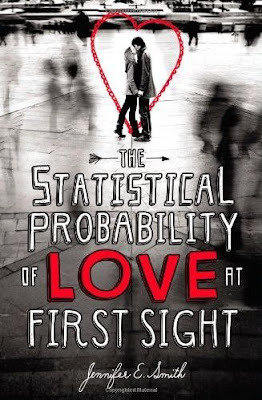 The very first Café Fashionista Book Club selection is…The Statistical Probability of Love at First Sight by Jennifer E. Smith! My experience with hair dryers has never been anything to write home about. Past experiences have left me with numb arms (due to heavyweight tools), and sheer frustration over lengthy wait times for said hair dryers to make good on their promise…dry my hair. Thus, unless someone else is working their magic on my follicles, I consider myself to be an air-dry type of girl. Meaning? I let my wet hair dry naturally – super fabulous in the way of saving time, but definitely not recommended if you want a chic et sleek coiffure. So when Misikko – known for their CHI Hair Products, Professional Hair Straighter selection, and the Best Hair Dryers – gave me the opportunity to review the HANAair Professional Hair Dryer – dubbed “The Premiere Hair Dryer” – I saw it as an offer I couldn’t refuse. Aesthetically, the HANAair Professional Hair Dryer is stunning to look at. It is compact, sophisticated, and sleek, with a rich, black finish, and nondescript gray labeling that is subtle – yet still gets the job done of informing the user precisely what tool is in their possession. Best of all, of course, is the fact that it is lightweight. Featuring Wattage of 2300, 2 fan speeds, 3 heat settings, and a cold shot, I immediately knew that this particular hair dryer was far more powerful than previous ones that I have used; which actually scared me a little, as I was worried that it would cause frizz and/or heat damage – it didn’t. The ION Technology found in the HANAair Professional Hair Dryer actually conditions hair and reduces static electricity which, in my opinion, made my hair (which has a slight wave / frizz to it when not treated with a hair dryer) feel incredibly healthy, in that once completed the look was super shiny and smooth – no flyaway or frizz at all. This particular hair dryer does retail for $334.99; however, it is $194.99 via Misikko. Normally, I would not be willing to spend so much on a hair care tool (as most of you well know, the majority of my money goes to shoes); however, time is money, and it took me less than ten minutes to completely blow dry my hair using the HANAair Professional Hair Dryer (a task which, with other hair dryers, has taken upwards of 45-minutes) – thus, I see it as a great investment item. 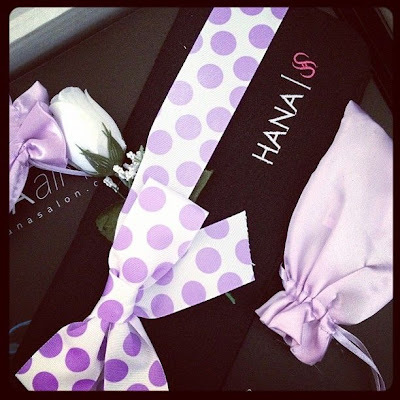 Now that I’ve told you about the HANAair Professional Hair Dryer itself, I have to tell you about what Misikko included with it – as these items literally made me squeal for joy, and made it possible for me to experience Christmas in January. Seriously. Misikko should win an award for their packaging alone. I was treated to a purple, white, and black color scheme (with a cuddly pop of pink), which included a Sleep Mask (very Audrey Hepburn in Breakfast At Tiffany’s); Rosebud-Shaped Potpourri; full-size bottles of Paul Mitchell Shampoo One and The Detangler (P.S. There’s definitely a new man in my hair’s life now); an e.l.f. Mechanical Eyelash Curler; multiple Emery Boards (beyond perfect as I am a nail care nut); two bottles of Mellow Hand Sanitizer; HANA Shine Shield; a HANA Hand Towel; Corioliss’ The Straightening Comb; and, my personal favorite (I totally saved the best for last), a Hot Pink Stuffed Teddy Bear (which I am beyond in love with, as I still have a stuffed animal collection). 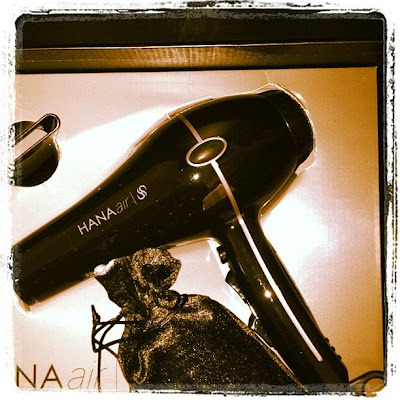 The HANAair Professional Hair Dryer is the Chanel 2.55 of the hair world! What Hair Dryer do you use? Looking for a way to radiate romance come Valentine’s Day? Look no further than this collection of flirty frocks that will leave all the boys eating out of your hand – Cupid’s assistance unnecessary! 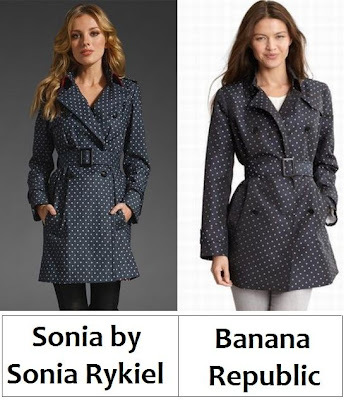 Lovers, representing the left corner we have Sonia by Sonia Rykiel’s tantalizing Trench with Dot Print; in the right corner we have Banana Republic’s pretty Polka Dot Trench. Though the ravishing Rykiel is constructed out of a Cotton and Spandex blend, as opposed to the 100% Polyester of the beautiful Banana Republic piece; for just $150.00, in comparison to the $595.00 needed to rev up your wardrobe with a splash of Rykiel refinery, it is the perfect way for one to add a classic piece of whimsy to their outerwear collection – at a price that leaves over a bit of spare change for a rainy day! Thanks to REVOLVE Clothing and Banana Republic for the pictures. Darlings, the aforementioned quote seemed the perfect way for me to introduce to you the Live.One.Vision Project – better known as L.O.V – a heartwarming affair specializing in the creation of 100% Silk Print Scarves that are lightweight, bedecked with 14K Gold-Plated Charms that dangle daintily from each corner, and dyed a multitude of gorgeous colors via natural resources such as pine cones, lemon grass, eucalyptus, and mulberry leaves. But perhaps the most intriguing part of this process is the inspiring artisans who make each one of these pieces by hand. Now that you’ve learned a bit about them, the time has come for two (2) of you to take home an L.O.V Scarf of your very own. That’s right, my loves! 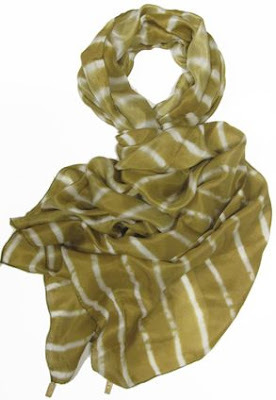 Café Fashionista has teamed up with L.O.V Project to bring two (2) dazzling divas the Varkala Silk Scarf (Retail Value $85.00) – a Mustard-colored pretty that was most recently seen inside the pages of People StyleWatch magazine! ♥For one (1) entry, leave a comment on this post stating how you spread love between now and Friday, February 3, 2012 at midnight PST. ♥For two (2) entries, Tweet about this giveaway, and leave a comment on this post stating how you spread love between now and Friday, February 3, 2012 at midnight PST with your Twitter URL. ♥For three (3) entries, become a follower of Café Fashionista on Blogger/Google Reader/Google Friend Connect, or Twitter @cafefashionista, and leave a comment on this post stating how you spread love between now and Friday, February 3, 2012 at midnight PST (if you are already a Café Fashionista follower, please say so in your comment). I will randomly pick two (2) names out of a hat (who knows, it could be yours! ), and announce the winners on Saturday, February 4, 2012. Thanks to LOV Project for the pictures. Like Audrey Hepburn, “I believe in pink” - especially when it is seen front and center on one’s face via a perfect pink pout. Check out the following pretty shades to find the best pink for creating your perfect pucker! The season of romance is upon us, darlings; and what better way to show our loved one’s just how much they mean to us than by showering them with sweet nothings that will leave them smiling from ear to ear the whole season through – all priced at $25 or less! Mon doux, in the left corner we have Prada’s beautiful Baroque Round Sunglasses – the very ones seen donned by Mary-Kate Olsen, Gwen Stefani, Paris Hilton, Rihanna, Zoe Saldana, and Eva Mendes; in the right corner take a gander at GoJane’s Swirl Arm Sunglasses. While the glamorous GoJane offering lacks the Prada nametag; for a mere $9.50, in comparison to the $290.00 required to take their couture counterpart home, they are le perfect way for the frugal fashionista to add a celebrity touch to her arsenal of accessories – at a price that allows one to scoop up a pair in all three saucy shades (Black / Navy, Tortoise, and White)! Thanks to Nordstrom and GoJane for the pictures. 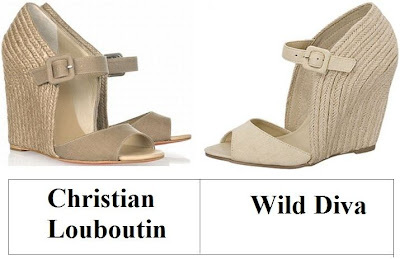 Darlings, to the left you will find Christian Louboutin’s pretty Panier 120 Espadrille Sandals – the very same ones seen worn by Cameron Diaz, Carmen Electra, and Diane Kruger; to the right take a peek at the Maryjane Espadrille Wrap Wedge from Wild Diva. While the Loubies proffer a slightly high wedge to the wearer (5”), in comparison to Wild Diva’s 4”; for a mere $26.20, as opposed to the $545.00 needed to take home the precious Panier, they are every bit as capable of heating up your wardrobe this summer – at a price that no budget babe could possibly refuse! What’s your stand, lovers…will you splurge, or save? Thanks to Net-A-Porter and GoJane for the pictures. First there was Nicole ‘Snooki’ Polizzi’s fiction novel A Shore Thing; now, just in time to accompany Jersey Shore’s fifth season on MTV, everyone’s favorite Jersey Girl has taken to the book world once more, this time with the tongue-in-cheek non-fiction offering Confessions of a Guidette - a tome which doubles as a Snooki scrapbook of sorts, while offering invaluable life and style advice to dominate the world a la Snooki. And now two (2) stylistas will have the chance to take home their very own copy! That’s right, my loves! Café Fashionista has teamed up with Gallery Books to deliver a copy of Confessions of a Guidette right to the front door of two (2) Jersey-licious ladies! ♥For one (1) entry, leave a comment on this post stating what you have learned from Snooki between now and Friday, January 27, 2012 at midnight PST. ♥For two (2) entries, Tweet about this giveaway, and leave a comment on this post stating what you have learned from Snooki between now and Friday, January 27, 2012 at midnight PST with your Twitter URL. ♥For three (3) entries, become a follower of Café Fashionista on Blogger/Google Reader/Google Friend Connect, or Twitter @cafefashionista, and leave a comment on this post stating what you have learned from Snooki between now and Friday, January 27, 2012 at midnight PST (if you are already a Café Fashionista follower, please say so in your comment). I will randomly pick two (2) names out of a hat (who knows, it could be yours! ), and announce the winners on Saturday, January 28, 2012. Thanks to Google Images for the pictures. Though I am far from a product of the sixties, I have always considered myself to have just a dash of hippie, flower power pizzazz in my soul (and not just because I was heavily-influenced by The Babysitter’s Club’s Dawn Schafer during my formative years). I will forever swoon at the sight of Twiggy’s spider lashes; think of Edie Sedgwick when I spot leopard print coats; and covet my very own pair of go-go boots. 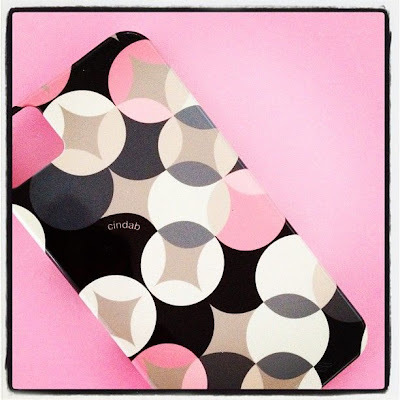 Thus, I couldn’t help but to request the retro-esque Roundabout Black Case, created by Cinda B Cases, when Case-Mate offered me the chance to choose a new case for my iPhone. I was given three options for this case (Barely There, Tough, or ID / Credit Card). I have mainly had experience with Silicone-based cases; but since I loved the feel and quality of my Case-Mate Glam, I opted for the Roundabout Black in Barely There, and was very happy with the decision, as it is both strong and sturdy, yet very light, so it doesn’t add bulk or extra weight to my already overfull handbag. What immediately caught my eye in regards to this case was, of course, the print. The colors are black, white, pink, and varying shades of gray (from light concrete to charcoal); and are circular in shape, so that they overlap one another, creating a very psychedelic look that is eye-catching and playful, yet subtle enough to remain sophisticated and elegant. Not to mention that it makes for the perfect counterpart to bubblegum pink or winter white manis! The perfect way to add a subtle hint of the swinging sixties to your look du jour. Twiggy, Andy Warhol, Edie Sedgwick, and the rest of the stylish heavy-hitters of the sixties would approve! What look is your iPhone currently rocking? Thanks to Case-Mate for the picture. ♥Wearing: Forever 21 Sheer Knit Top in Light Pink; Forever 21 Stretchy Skinny Jeans in Dark Denim; Forever 21 Wrapped Triangle Ring in Gold / Clear; Naughty Monkey Shaggy-D in Taupe. ♥Reading: Camilla by Madeleine L’Engle. To all of those who have yet to read this book, I instruct you to run, don’t walk, to the nearest Barnes & Noble to pick up a copy. C'est incroyable! ♥Glamourizing: Nails: Forever 21 Love & Beauty Glittered Pink Nail Polish in Pink. Lips: mark Juice Gems in Juicy Fig. Eyes: Maybelline New York Volum’ Express The Colossal in Glam Black. ♥Listening: Born to Die by Lana Del Rey. Seriously obsessed with this song right now; j’adore Lana Del Rey! ♥Adoring: RED Valentino footwear. The Open Toe Pumps, the Cap Toe Ballet Flats, the Two Toned Pumps, the Polka Dot Pumps. They are, without question, the ultimate in ladylike loveliness. Not to mention they would look purely decadent with a pair of cuffed boyfriend jeans. Etre toujours mon Coeur! Bright bags that add an instant pop of personality to one’s look du jour. My current need-want-love selections? Cambridge Satchel’s Fluoro Satchel, and Rebecca Minkoff’s Neon Lizard Mini MAC Bag. Le sigh. Candy-colored shorts that are high on sweet whimsy and short in hemline a la Rebecca Minkoff’s Haley Cutout Lace Shorts in Turquoise, RED Valentino’s Shorts with Bow Pockets in Light Pink, and Ksubi’s Alberceque Cut Off Shorts in Pop Yellow. ♥Watching: Home Alone 2: Lost in New York. ♥Desiring: Raoul Clear Capelet. There is nothing that I despise more than having to cover up my ensembles with bulky outerwear to protect my clothes from the elements. This would completely solve that problem. Le besoin, l'amour, le désir! Giuseppe Zanotti Studded Metallic Leather Sneakers. I am most definitely willing to become a sneakers kind of girl if these are involved. Amour! Sonia Rykiel Shine Reporter Bag. One of my greatest dreams in life has always been to be Nancy Drew. This bag would instantly make me feel like her. Moral of the story? Need! ♥Awaiting: Case-Mate’s Cinda B. Cases – Roundabout Black. Your iPhone is never fully dressed without a cute and colorful case, mais oui? Winter blues got you down? Browse through this collection of bright and beautiful blue polishes that will turn your frown upside down and add a little color to your life – perfect for battling the cold front! 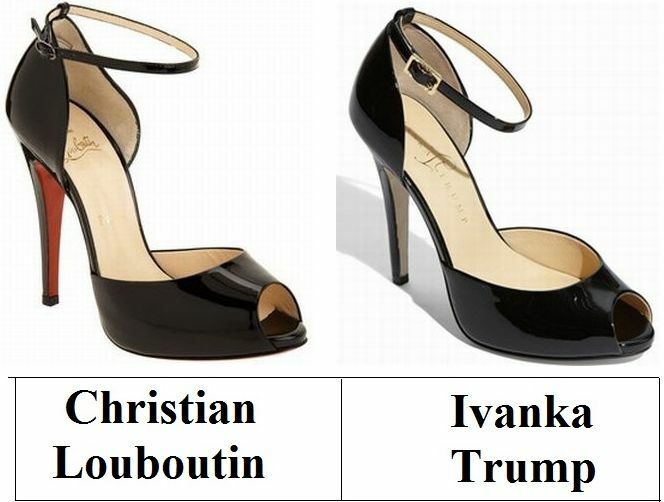 Dolls, in the left corner you will find Christian Louboutin’s charming Claudia Ankle Strap Sandals – the very same showstoppers seen on Holly Madison, Megan Fox, Jennifer Love Hewitt, and Jennifer Morrison; to the right take a peek at Ivanka Trump’s incredible Bulbi in Black Patent. 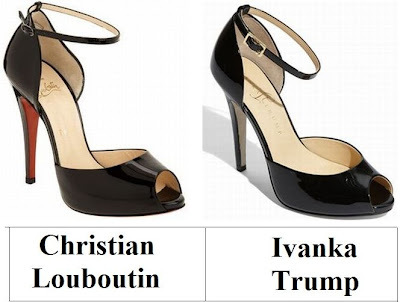 Though the tantalizing Trump’s lack the cherry-red sole of the ultra-classy Claudia; for a mere $112.49, in comparison to the $985.00 needed to take the Loubies for a test drive, they are every bit as capable of becoming the standout classic black pump of your shoe collection – at a price that allows you enough left-over cash to indulge in all three stunning colors (Black Patent, Dark Red Patent, and Pewter Patent)! Thanks to Heels for the picture. Lucille Ball, Elizabeth Taylor, Rock Hudson, Andy Warhol…they may have all been known for their work in the artistic worlds of acting, painting, and the like, but they, among hundreds of other celebrities were also kitchen wizards, whipping up scrummy delectables during their off-hours – dishes that two (2) ravenous readers will soon have the chance to try for themselves courtesy of Frank DeCaro’s The Dead Celebrity Cookbook: A Resurrection of Recipes from More Than 145 Stars of Stage and Screen! You guessed it, dolls! Café Fashionista has teamed up with HCI Books to bring two (2) of you fabulous foodies your very own copy of The Dead Celebrity Cookbook: A Resurrection of Recipes from More Than 145 Stars of Stage and Screen written by Frank DeCaro – best known for his work as The Daily Show with Jon Stewart’s movie critic! ♥For one (1) entry, leave a comment on this post stating what celebrity (dead or alive) you would love to spend a day cooking with between now and Friday, January 20, 2012 at midnight PST. 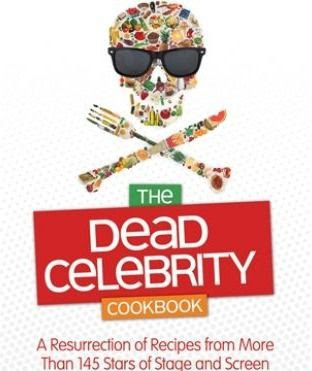 ♥For two (2) entries, Tweet about this giveaway, and leave a comment on this post stating what celebrity (dead or alive) you would love to spend a day cooking with between now and Friday, January 20, 2012 at midnight PST with your Twitter URL. ♥For three (3) entries, become a follower of Café Fashionista on Blogger/Google Reader/Google Friend Connect, or Twitter @cafefashionista, and leave a comment on this post stating what celebrity (dead or alive) you would love to spend a day cooking with between now and Friday, January 20, 2012 at midnight PST (if you are already a Café Fashionista follower, please say so in your comment). I will randomly pick two (2) names out of a hat (who knows, it could be yours! ), and announce the winners on Saturday, January 21, 2012. Over to you, lovers; what pretties have left you with the desire to shout "Charge it please!"? 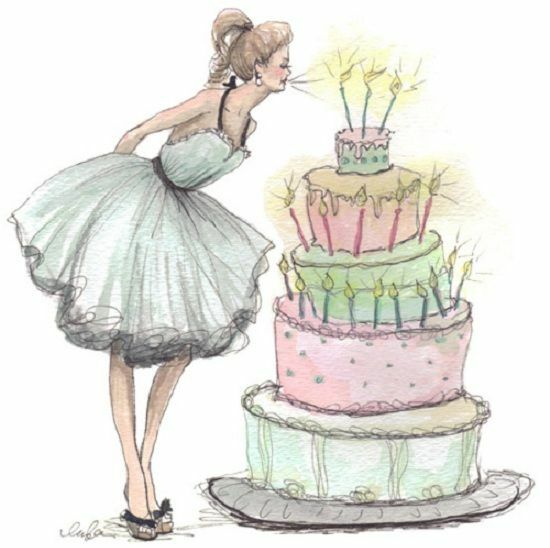 Thank you all for your support of Café Fashionista since its start on January 4, 2009. Here’s to another year of fashionable friends, and pretty little luxuries! In the words of George Harrison, "All the word is birthday cake, so take a piece, but not too much." Thanks to Glitter and Lace for the picture. Lovers, to the left take a peek at Miu Miu’s mesmerizing Suede Peep-Toe Pumps in Black – the very same ones seen donned by Taylor Swift, Hailee Steinfeld, Elizabeth Banks, and Lyndsy Fonseca; to the right cast your gaze upon Jean-Michel Cazabat’s charming Shala Platform Pump in Black. 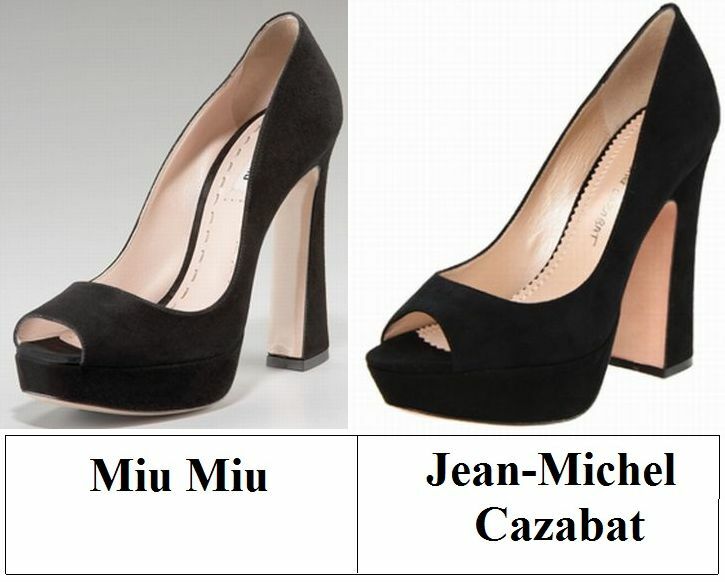 Though the sophisticated Shala’s are ever so slightly lower in height (4 ½”) than the sassy Miu Miu’s (5”); for just $280.00, as opposed to the $595.00 needed to strut your stuff in the Suede Peep-Toe Pumps, they are every bit as capable of lending a touch of star style to your shoe collection – at a price that allows you to scoop up two saucy shades (Black and Light Grey)! Thanks to Net-A-Porter and Endless for the pictures. Something that many of you may not know about me is that, aside from being a shoe-adoring fashionista, I am an enormous animal lover. Over the years I have shared my living quarters with rabbits, cats, hamsters, guinea pigs, lizards, frogs, rats, and, in the fourth grade, an assortment of snails (insects, I know, but I was their guardian nonetheless). 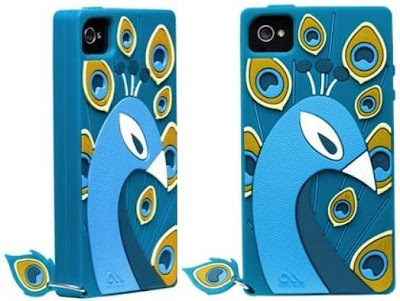 Therefore, when Case-Mate offered me the chance to select a new case for my iPhone 4S, I instantly set my sights on the aptly-titled ‘Creature Cases’ – specifically, the pretty Peacock – to show my devotion to the animal kingdom. One thing that always worries me about cases that feature raised pieces is that, while gorgeous to look at, they will add too much bulk to the iPhone’s slim design. That was not a problem I encountered with the Case-Mate Peacock. Though the raised silicone pieces add a 3-D effect to the overall design; instead of adding excess bulk, they create a surface that is easier to grip so that you avoid accidental drops (always a plus for those of us who are clumsy). The colors, while stunning online, are far deeper and rich looking in person, bringing to life the true jewel-tones of a peacock (and adding the most decadent pop of color to monochromatic ensembles). But the true clincher, and one of my favorite attributes of this case, is the matching tail and plumage which dangles from the bottom corner – a charming detail that I find irresistible (and, mark my words, will leave a trail of adoring admirers in your wake). Playful in aesthetic; elegant in hue. 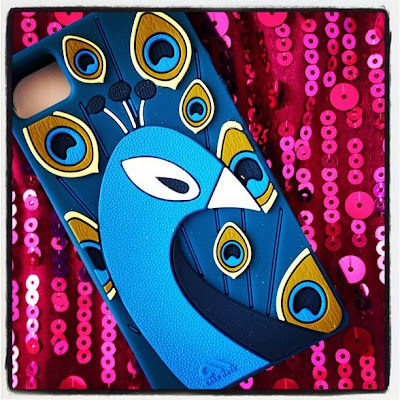 The Peacock Case is perfect for adding brilliant pops of color to monochromatic looks; and will leave you with the desire to build an entire animal menagerie of iPhone cases (I currently have my eye on Hoot the Owl and Xing the Panda). A word of wisdom for users: Be prepared to fend off compliments galore – from my experience, this Peacock is too pretty for most to resist! Thanks to Minkette for the picture.